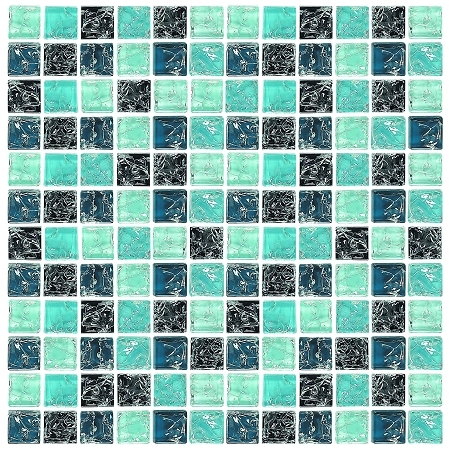 GC1007: Glass Mosaic is a glass tile piece that gives a cool aura to any kind of surface. It has a beautiful color scheme that uniquely combines different shades of blue. It has a smooth and shiny texture. 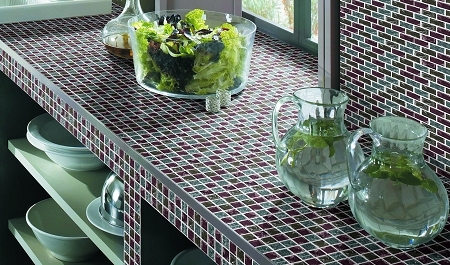 GC1007: Glass Mosaic can be installed easily because its dimensions are perfect for any surface. It is very easy to clean and maintain since it also does not need expensive tile cleaners to retain its beautiful appearance. 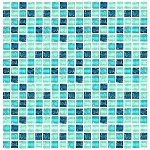 GC1007: Glass Mosaic is a delicate tile piece that is suitable for kitchens and living room areas. It provides an incomparable artistry to your floors and walls. GC1007: Glass Mosaic gives a beautiful combination with marble, travertine or porcelain tiles. It is best combined with colors like white, black, and blue to achieve a homier atmosphere.